Food and Lycra goes up North! We may be well traveled around the world, but when it comes to the UK, shamefully we haven’t really ventured out of London. On a freezing, early morning last November, we were invited up to Sheffield to join Adidas for their SS14 Performance photoshoot. What a day! 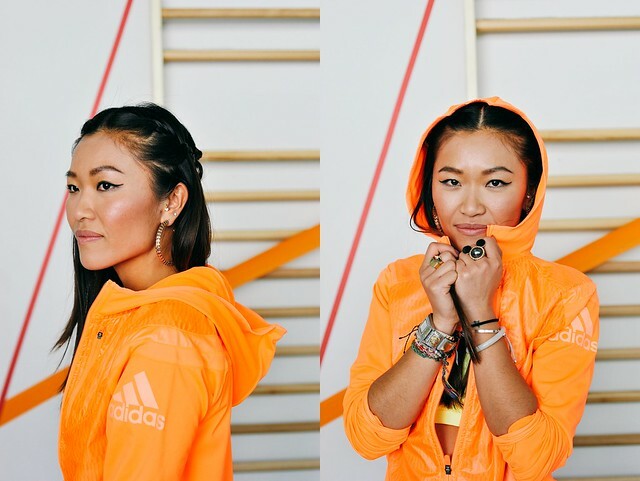 Last October, I had the pleasure of previewing the full Adidas SS14 collection. Kim and Rachel couldn’t make it down so I made sure I took pictures of the best of the best and sent them to us as the girls so they could ‘ooo' and ‘ahhh’ over Whatsapp. 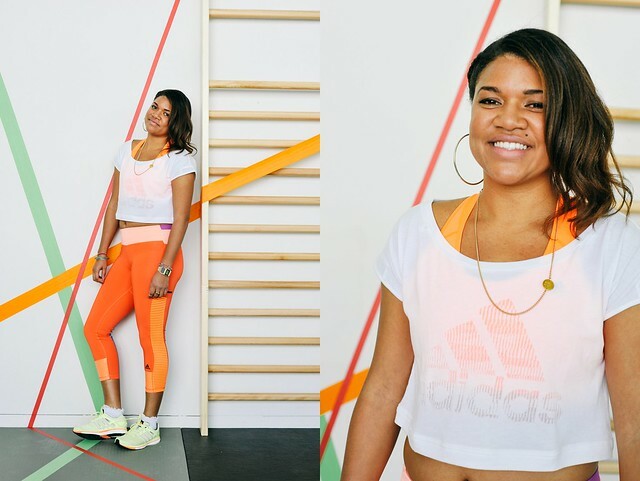 When we got the invite to join Adidas on location for their official spring summer 2014 shoot to be one of the first people to view, style and try on the latest gear, we didn’t hesitate to say yes! 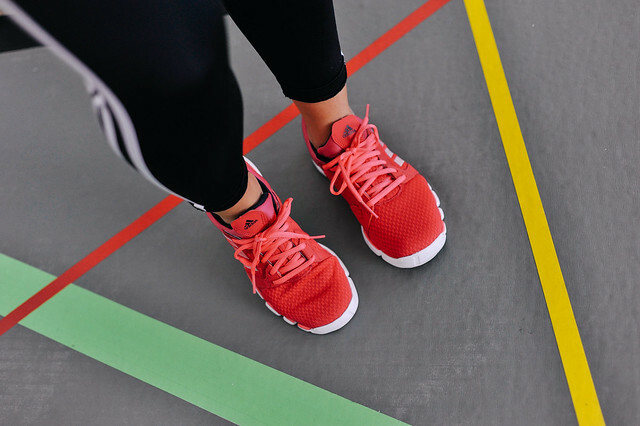 We linked up with Lunges & Lycra and Alex from Faschercise and headed to Sheffield to join Adidas as they shot the retail, editorial and athlete looks for the new season. To be part of the experience, and to be in the same room as the amazing heptathlete Jessica Ennis-Hill, track and road cyclist Laura Trott, and speedy sprinter Jodie Williams, was unlike anything we’ve ever done - it was unreal! I mean, these guys are Olympians and reigning junior world champions, and here we are, in the same room as them as they got hair and make-up done whilst we stuffed our faces with chips (like true athletes eh? ), staring at them in awe. Casual Tuesday afternoon obvs. 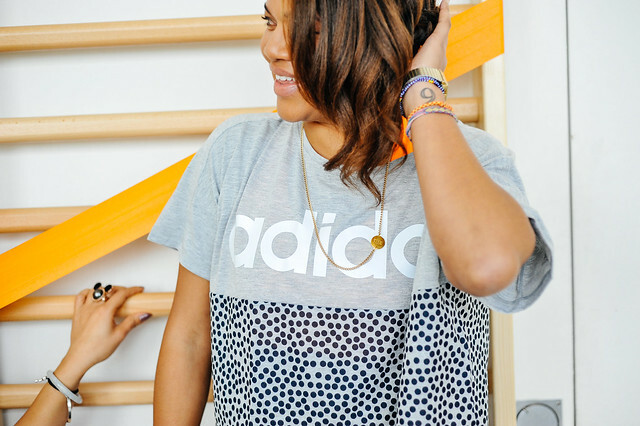 We were presented with rails of Adidas's latest SS14 looks to choose from and style. We have to admit, this was probably the first time we looked at Adidas' performance gear in such detail, and we were totally won over. The colours, patterns and styles featured for the season were right up our street! 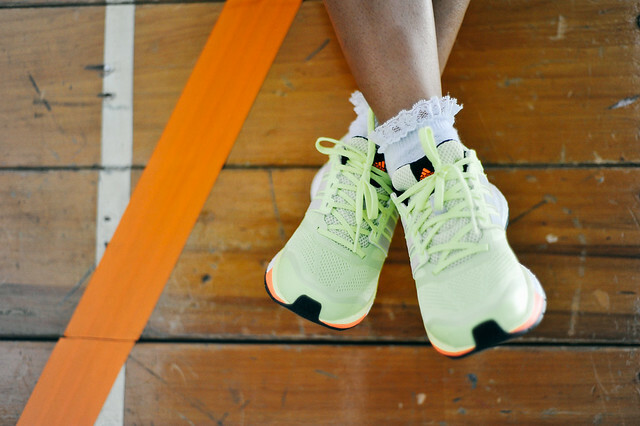 There were lots of Neons, bold printed lycra alongside black and white classics we would normally associate with Adidas Originals - items of clothing we would be happy to mix into our day-to-day looks, and not just for running in. Ladies, we don't need to worry about changing straight out of our sports gear anymore! 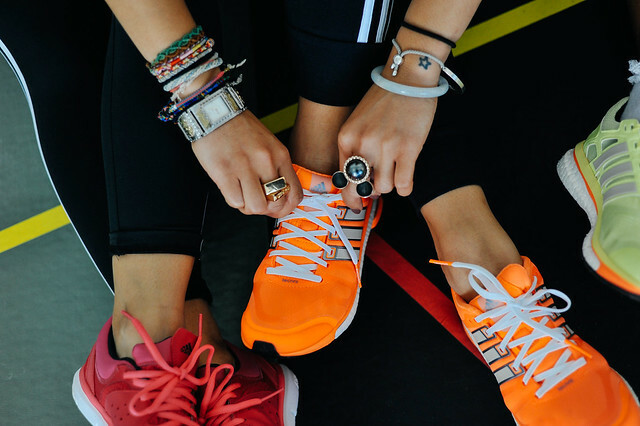 It's so great to finally see more trendy and causal styles mixed in with Adidas' latest performance collections, say NO to boring black and ill fitting sports clothes! The new collection is young, fresh and perfect for those of us who seek style in performance gear - all for sweatin' and stylin'! 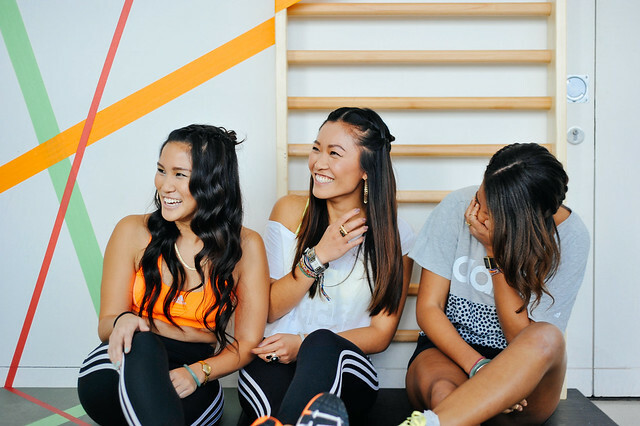 We picked out two looks each from Adidas' Workout Collection, mixing classic workout staples alongside brighter pieces which complimented our personal styles perfectly. We are not ones to be scared of a little colour or patterns! Check out and shop our looks below. 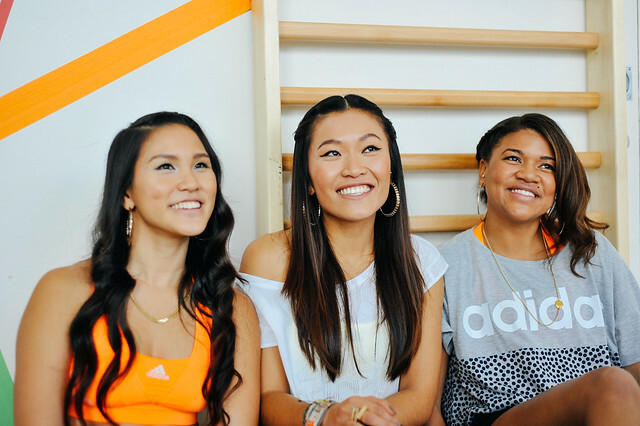 We had such a great time at the shoot, thanks Adidas! Watch out for our next posts where we interview Jessica Ennis, Jodie Williams and Laura Trott and get to ask them all things Food and all things Lycra.